In Letters to a Young Novelist, his smart little book on the craft of writing, Mario Vargas Llosa describes A Brief Life by Juan Carlos Onetti as a brilliant example of the Chinese box, a narrative technique using shifts in space, time and reality to create stories within stories. High praise from such a well-versed master of narrative form (who used the same technique to create his own delightful intersections in Aunt Julia and the Scriptwriter). Published in 1950 after seven years of labor, Onetti’s breakthrough masterpiece is a dark, complex and compelling urban novel that takes place in Buenos Aires, Montevideo and the fictional town of Santa María. The middle-aged central narrator, Juan María Brausen, is facing the triple psychological shock of his wife’s breast cancer, their failing marriage and the loss of his job at an advertising agency. But that is only the surface reality. Alone in his apartment while his wife recovers in hospital, Brausen eavesdrops through his bedroom wall on the woman next door, a prostitute named La Queca. Becoming obsessed with what he hears and imagines, he invents a false identity as the thuggish pimp Juan María Arce in order to enter La Queca’s life. It’s never made clear if this action by Brausen as Arce is real or imagined, but it most certainly seems real. Meanwhile, in need of money, Brausen is also developing a screenplay, and as its plot takes form, he enters the mind of his principal character, Díaz Grey, a doctor in Santa María who, enamored of a deceitful married woman named Elena Sala, enables her morphine addiction. As Brausen is beginning to recognize, he may be able to live other, invented lives, but his despairing soul is “condemned” to remain the same, and in Onetti’s world there is no comedy to relieve this soul’s tragic trajectory. In the second part of the book, Brausen the narrator gradually disappears as his alter-egos assume a greater and greater presence in a plot that thickens with lies, murder and suicide; the mirror of invention reflects back a nightmare of psychic oblivion. 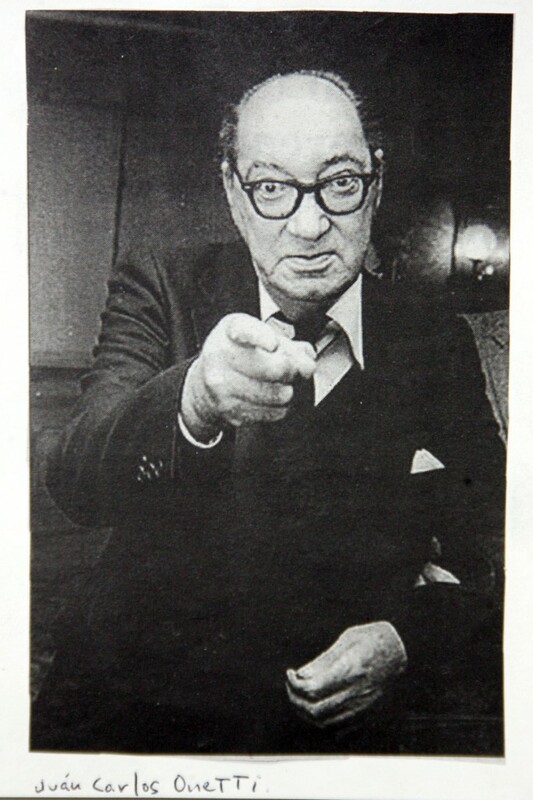 By the last chapter it is Díaz Grey who is narrating the story. Born in Montevideo, Onetti was one of the Generation of ’45, a group of writers known for its nihilism that emerged in Uruguay and Argentina during the politically tumultuous 1930s-40s. 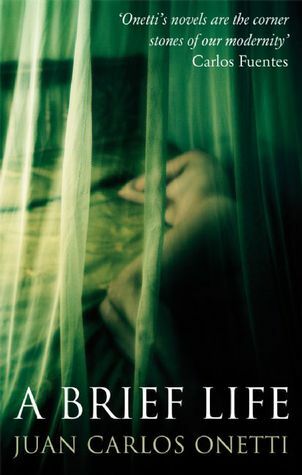 All of Onetti’s novels contain a bleak existentialism, but the technically complex narrative and noir atmosphere of A Brief Life create a kind of morphine-dream confusion, a disorientation that becomes frightening as Brausen slides into his other lives. Because of its despairing darkness, it took me six months to finish A Brief Life. Brausen’s world (or is it Onetti’s?) is a loveless, hopeless, violent, sadomasochistic, and misogynistic prison without reprieve. As a reader, I could only live in it briefly. But the book’s brilliant structure and narrative drive, Onetti’s technical mastery and nuanced commentary on the mirrorlike relationship between art and reality, between the artist and his creation, compelled me to stay with it to its troubling end. Jorge Luis Borges called it perfect, as did the Mexican poet Octavio Paz. 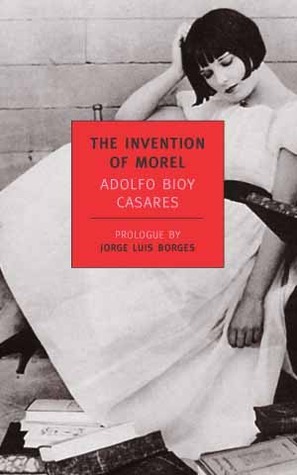 The Invention of Morel by Argentine novelist Adolfo Bioy Casares is a fantastical novella, a carefully constructed conceit. Spare and tautly plotted, this work of “reasoned imagination,” as Borges described it, is the offspring of the speculative fiction of H.G. Wells, the adventure stories of Robert Louis Stevenson and the theological detective stories of G.K. Chesterton. Not coincidentally, it also echoes the themes of Bioy’s mentor—that master of the rational, philosophical and speculative–J. L. Borges. In a prologue to the 1940 first edition of The Invention of Morel, reprinted in the New York Review of Books’ English edition, Borges argues that the psychological novel exhausted itself in masquerades of realism that were “formless” and “tantamount to chaos,” whereas the plot-driven adventure story, though often called puerile by critics, is alive and well—witness the number of detective stories written and devoured today. Borges goes on to compare Bioy’s novel to the Turn of the Screw and The Trial. I respectfully disagree. While The Invention of Morel is a finely cut jewel, it has all the warmth of a white diamond. If there is fire, it is locked deep inside its facets. I won’t spoil the book’s conceit. Suffice to say, it resolves with a fantastical premise that seems less fantastical today than when it was written. Bioy’s conceit reminds me of such theoretical postulates as the multiverse proposed by modern physicists—those quantum ideas that can’t be experienced or proven but the mind can deduce, just as it can consider a mathematical equation, syllogism or paradox. “Isn’t that interesting,” you conclude and then get on with your life. As much as I enjoy Borges for such intellectual exercises, he’s the last writer I’d choose to remind me of what humanity is about. The thrill of James’ ghost story or the terror of Kafka is not derived from the plot, as Borges maintains, but from the psychology underlying the plot, not from what happens when but from the interpretation of what may have happened. According to Borges, “there are pages, there are chapters of Marcel Proust that are unacceptable as inventions, and we unwittingly resign ourselves to them as we resign ourselves to the insipidity and emptiness of each day.” Yes, but I’ll take those pages full of miserable, messy humanity any day over the meticulous, reasoned imaginations of Bioy or Borges, as intriguing as they are. "Historical fiction at its best." Click the cover to sample or buy! Goodreads reviews of "Under a False Flag"
Copyright © 2012-15 by Tom Gething.